New Zealand carbon-credit investment that enhances the ecosystem. Beginning within the next few years all people (that's everyone with an ID) will become responsible for offsetting their carbon footprint based on their use of natural resources, creation of greenhouse gases, their environmental impact, and their general consumption through active and transparent taxation on fuel, electricity, food, housing, travel and more. As easily there are personal actions that individuals can take as volunteers, by planting trees, using energy efficient transportation, and managing their own rural ecosystems responsibly on the behalf of the public and common good to offset or reduce your carbon footprint. There are also credits people (high impact individuals) can buy to offset their carbon footprint activity, those credits are represented based on the removal of atmospheric carbon by trees, plants, and other natural processes. The current denominator for calculating how many offset credit certificates to need to compensate for your consumption is by ton of carbon produced through an activity (a plane flight for example), it is offset by the number of trees present on a particular acre that is subsidized to provide carbon sequestration. 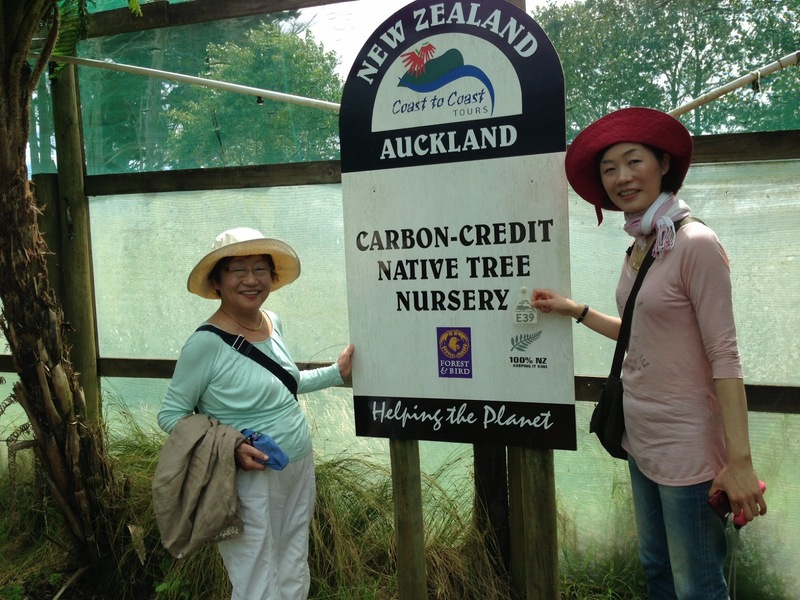 There are other ways to create credits and develop projects for the environment including projects like the native tree nursery example in the photo from New Zealand. Do I have to pay Carbon Tax? The system (which is quite fair if you are eco-conscious and understand the reality) is based on how much you use, its based on your impact on the planet, its also a system that is being applied internationally and universally. The taxes that you are already transparently paying (in the cost of goods) to manufacturers and retailers is divided up and credited through tax collectors and on to those who provide ecosystem services. With autos it the charges are levied through fines, plates and/or annual registration fees all for the greater good with air travel it is paid by the airlines and built in to the cost of the ticket. Today polls show that less than 25% of the general population trust government and part of the problem is that people think that the government is running the carbon credit system, this is not true. The system is being put in place by the United Nations, entrepreneurs, corporations, the private sector, and non-governmental organizations to protect and nurture the ecosystem. Many governments are fighting details of these new politics and unwilling to allow the planned change, but as signatories of treaties like Kyoto Protocol and other conventions they are compelled to adapt. The beauty of the carbon footprint taxation system and the balance it generates, is that for now it is voluntary and universally transparent because its built into the price of goods, products, utility bills, and other services. We already have great achievement and development in this new perspective of a resource based world and is balancing itself. As with any voluntary program the corporations and the people who support it are entitled through government to special benefits, privileges and entitlements. Its also one of those things that if you do not know about it, or pay into it then you will never know its there and never know the benefits! If you own interests and credits in Ecosystem services then you can deduct these credits as entitlements in their appropriate category when you pay income tax. If you do not own offsets then you cannot apply for the credits or make deductions except when you make major purchases like cars. Don't let anyone fool you either, you do not receive credits by making donations to non-profit environmental groups. Donations are deducted as charitable contributions, offsets for ecosystem services are categorically different and separate. Offsets are like legal tender and they can be traded just like a bond or share of stock. Globcal International's project will take this one step further by cutting out the government and private industry to deliver a high-value credit directly to indigenous and remote rural communities that specialize in ecosystem service delivery. If land owners in California and Colorado can sell credits, its only fair that native peoples be capable of selling theirs. This alone will provide sustainable incomes and employment for around 70% of all the indigenous people living in poverty today. One of the problems we discovered is that the state in many cases are taking advantage of the carbon financing scheme to generate capital based on natural resources within their countries and not passing those funds out to the indigenous people or applying those resources to the lands in question. They actually keep the public ignorant and go so far as to view the indigenous owners of these lands as part of the biodiversity (animals). Globcal﻿ discovered however that the indigenous people on many (not all) of these lands (which account for 60% of the planets remaining natural ecosystem services) are legally eligible under international law to collect these credits themselves, that is if they were knowledgeable of the opportunity. Our project is being developed to train and educate these indigenous communities about their options, opportunities and the rewards for becoming knowledgeable and proactive as ecosystem service providers, stewards, guardians, engineers and developers. Our effort will develop a higher value offset that is fair-trade certified and direct between the purchaser and the provider. We have competition but are sure that the indigenous people will adopt our direct method because it puts them in control democratically over their own resource bases. Currently depending on whether in Europe, the US, or Australia you can claim a return of up to 7% or more of your total annual income through offsetting your carbon footprint through Globcal's ecosystem bonds include carbon credit offsets as well as investment in appreciated biodiversity, ecotourism, water, and ecosystem enhancement. Through our system with enhancement offset values increase and appreciate! About Ekobius: Beginning this October 2014, Ekobius will become the subject trustee in an experimental pilot project involving 5000 acres (initially) with Globcal on Indiegogo to manage and enhance ecosystem services in a sector of Venezuela's Amazon with the Piaroa tribe. Once implemented the program will be extended to the other 16 indigenous groups present in the forested region of 160 million acres. The average consumption by trees in the region of atmospheric carbon sequestration is 3.8 tons per acre per year which is valued at about $75 per year for the acre-man "akerman" to collect in addition to the by-products derived through agroecology and additional ecosystem services in a collective production community. Unlike many crowdfunding projects this one will involve equitable shares in the project because it will issue cooperative bonds that will directly be invested in the ecosystem and training of its inhabitants to become sustainable ecologically and socioeconomically. The training and preparation for this project will take place in Belize where the ambassadors, teachers, students and other participants will gather to experience first-hand well-developed and functional best practice models in place under competent government administration. Follow the details through Globcal International on Facebook for the most recent updates.